Blog | Essential Theatre | Giving Georgia Playwrights a voice! Essential Theatre is now accepting play script submissions for the 2020 Essential Theatre Playwriting Award competition! Essential’s competition is free to enter, and any previously unproduced play by a Georgia playwright is eligible. There are no restrictions as to style, subject matter or length (though preference is given to plays with a running time of at least an hour). The winning playwright will receive a cash prize of $750, and the play will be given a full production as part of the 2020 Essential Theatre Play Festival. The script submission deadline is April 23, 2019. ET: Hi, Emily. Congratulations! What can you tell us about the play we’ll be seeing this summer? EM: The play has two storylines, one in which a young female painter struggles to gain recognition for her work within the male-dominated art world of Renaissance Italy, and the other in the contemporary United States, in which a young career woman encounters her own version of the same challenges as she fights for recognition in the workplace. chiaroscuro or Slaying Holofernes blends and blurs the worlds of past/present, fact/fiction, and personal/political as it explores two women’s parallel quests for justice in an imperfect world. ET: That sounds intriguing – and timely. Where did you get the idea? What made you want to write this play? EM: I have been enamored of Artemisia Gentileschi as an artist and historical figure for many years. Her story is complicated and tragic, but her strength and resilience is inspiring. I feel a connection to her and her commitment to creating art that fulfills her creative desires. I see the echoes of what she endured in the treatment of women in our modern society. This play explores the structures in society that prevent women from advocating for themselves when they are wronged- both in Renaissance Italy and modern day America. We are living in a moment where we are navigating changing gender dynamics, and some parts of society are slow to catch up. I wanted to write this play to explore those dynamics and to celebrate the strength and resilience of women. ET: Speaking of strong and resilient women, another personal question: how did you get into playwriting? EM: I love theatre: performing and directing were my first passions, but playwriting has been a source of creative expression for me for many years. It is truly thrilling to create characters and voices on a page and then see that come alive and become enriched by the collaboration with other artists. ET: Are you working on any new projects at the moment? What’s next for you? EM: I have several new plays in various stages of development- I just finished my first draft of a play based on the single performance of Julius Caesar that all three Booth brothers participated in prior to John Wilkes Booth’s assassination of Lincoln. My second full-length play, CHEEK BY JOWL, was selected for the Elephant Ears Reading Session in Philadelphia in May of this year. I continue to write 10 minute plays for various festivals around Atlanta. ET: Where else can we see your work, either recently, currently or in the coming year(s)? EM: I’m excited to see my play Secret Family Recipes go up at Out Of Box for the Women’s Shorts production in April. My play The Great Suburban Outback will be performed at Merely Players’ Amplifest 10 Minute Play Festival in May as well (it has been performed already by the Atlanta AppCo Alumni as part of their Culture series) and I cannot wait to see it performed too. Most importantly, I will have a reading of SLAYING HOLOFERNES through the Ethel Woolson Lab for Working Title Playwrights on March 31 at 7:30 PM. ET: What led you to decide to submit your play to the Essential Theatre Playwriting Contest? EM: I have attended Essential Theatre many times and I believe strongly in their mission of championing new works by Georgia playwrights. Essential is doing the kind of theatre that is interesting and vital– maybe even “essential?” Ha! This is the first time I have submitted to the contest. I felt like my play was in line with style and substance of the pieces I’d see in prior years, and would be a good fit for the mission of the theater. ET: How does it feel to have the world premiere production of your script on the horizon? EM: It is exhilarating. Good theatre thrives on collaboration and to be able to be a part of that process is so thrilling. ET: Well congratulations, once again. We look forward to working with you and bringing your play to life in the Festival this summer! Emily’s play, Slaying Holofernes, will premiere as part of the 2019 Essential Theatre Play Festival and opens Friday, July 26, 2019. Festival Passes are on sale now at EssentialTheatre.Tix.com. ET: Congratulations, Ben! We’ll be spending plenty of time together in the coming months, but for now, can you tell us a little bit about yourself? 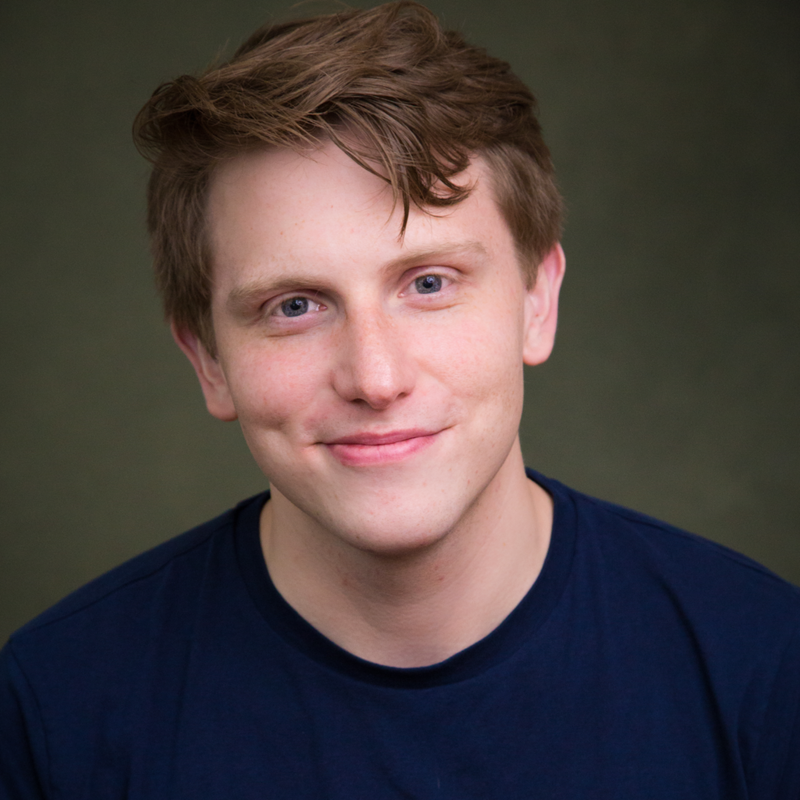 BT: I’m an actor and playwright, originally from Snellville, GA. I went to Point Park University in Pittsburgh, PA and lived in New York City for years before moving back to Atlanta in 2015. 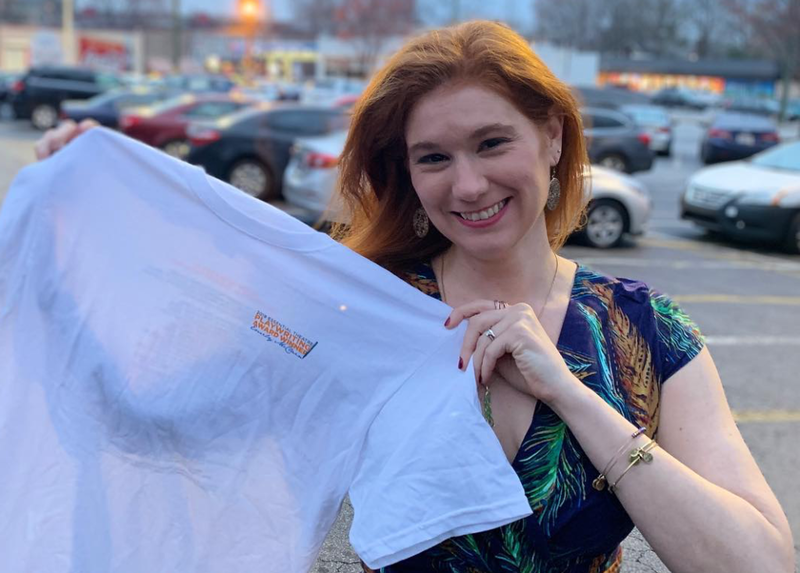 I’ve been in productions around town at Actor’s Express, the Alliance Theatre, Art Station, Horizon Theatre Company, Serenbe Playhouse, and Theatrical Outfit. I recently wrote the book for ‘Red: A Crayon’s Musical’ with music and lyrics by John Burke (based on the book by Michael Hall) that had its premiere reading at the Atlanta Musical Theatre Festival in August of 2018. ET: Tell us a little bit about the play we’ll be seeing this summer. BT: It’s the night of the ‘Hell Feast’ and a small, isolated cult is prepping for the birth of the Antichrist. When an outsider is invited for the evening, secrets about the past come to light and threaten to ruin everything the group has built. Plus, there’s a talking goat… so that’s pretty cool. ET: Where did you get the idea for this play? What made you want to write it? BT: I began working on this play in 2015 as a class exercise. At the time, I had JUST moved back to Atlanta from New York City and wanted to not only work as an actor, but pursue my passion for writing. I was re-watching ‘Rosemary’s Baby’ one afternoon, and started to wonder what the baby shower for Rosemary might have been like. Not long after, I was speaking with my best friend about the lack of darker, comedic roles for young women in the plays that were continuously getting produced. She was frustrated that those roles were almost always written for men. I too found it frustrating because the funniest, most incredible actors and artists that I know are women. The play started as an exercise to create something fun for my friends to read/ play with and has morphed into the beast that’s getting produced this summer. ET: How did you get into playwriting? BT: I’ve grown up in the theatre and a lot of the people that I look up to are multi-hyphenates. I’ve been writing for as long as I can remember, but I never shared much of it with anyone. It isn’t until I moved back to Atlanta that I decided to share my writing more publicly and pursue this passion of mine. ET: How did you find out about Essential and the playwriting contest, and what led you to submit your script? BT: When I was in high school, I saw a bunch of shows that were produced by Essential and I loved seeing whatever Essential produced in town. Essential is such a great platform for the incredibly rich pool of writers in Georgia. This play was part of the Bare Essentials reading series last summer and the response and feedback were fantastic. I’ve been working on it since, and was encouraged to submit it for 2019. ET: How are you feeling about having this play produced for the first time? BT: I’m equal parts thrilled and terrified, but I think that’s a good thing! I worked on this, never thinking it’d be read by anyone other than a few close friends. To see it fully produced this summer at Essential is beyond what I thought was possible. ET: Besides this upcoming production, are you working on any new projects at the moment? BT: I’m going to be in the upcoming production of ‘Falsettos’ at Actor’s Express this March/ April that is being helmed by Freddie Ashley! Also, my fiancé, Jeff, and I are in the midst of planning our May wedding! ET: Oh, congratulations! That’s fantastic! Where else can we see your work, either recently, currently or in the coming year(s)? BT: I’m working on a couple of actor-y/ writer things at the moment that are exciting me. In addition to ‘Baby Shower for the Antichrist’, I’ve been continually working with John Burke on ‘Red: A Crayon’s Musical’, and we hope to share some exciting news about that show’s future soon! ET: Sounds exciting! Keep us posted! Ben’s play, Babyshower for the Antichrist, will premiere as part of the 2019 Essential Theatre Play Festival and opens Friday, August 2, 2019. Festival Passes are on sale now at EssentialTheatre.Tix.com. Join Essential Theatre on March 9 for a Celebration of Georgia Playwrights! On Saturday, March 9, from 4 to 6pm at Manuel’s Tavern, meet the newest additions to the Essential Theatre legacy, Emily McClain and Ben Thorpe, and celebrate Essential’s – and Georgia’s – rich theatre tradition and the community in which our playwrights grow and thrive. Hang out with a bunch of great folks who, like you, are proud of the literary and dramatic heritage of the place we call home. Meet the 2019 Essential Theatre Playwriting Award winners, Emily McClain and Ben Thorpe, and hear about their shows, which we’ll be premiering at this summer’s Festival. Get your Festival Pass at the lowest price of the year! New this year, if you want to use your Festival Pass for opening night(s), you can make your Opening Night reservations at our Celebration Event! No need to wait till individual tickets go on sale in June. Enter to win prizes, including: Festival Passes, tickets to upcoming shows around Atlanta with ties to Essential artists, Essential swag, and more! Celebrating 21 years of the Essential Theatre Festival, during which we’ve produced 34 new works by 29 different Georgia playwrights, with readings of almost 40 more. *Please note: this event is free, and the buffet is free. Additional orders, whether food or drink, are the responsibility of the party placing the order. Also, please remember to tip your hard-working servers generously and well! E: Hi Marilyn. Hi Sharon. We’re so excited to be presenting a concert reading of your musical this Saturday! We’d love to hear a little more about yourselves and the musical you’ve made together. What inspired you to write Memory Lane? 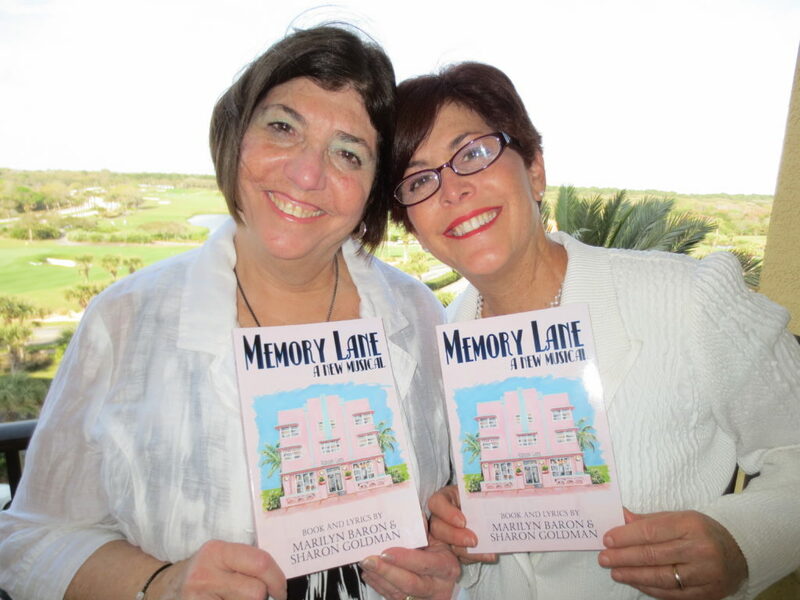 M: The inspiration for the play was my niece, Annika Goldman (my sister Sharon Goldman’s daughter), who volunteered for two summers in high school at an adult day care facility for Alzheimer’s patients in Jacksonville Beach, Florida, and who is the model for the character, Sunny. And our mother, Lorraine Meyers, is a singer who taught us to love musicals at an early age. She was recently diagnosed with dementia, but she still remembers the words to the songs she loved so much. What is unique about your relationship to this subject matter? A topic close to our hearts, my sister and I bring an appreciation and understanding of Alzheimer’s patients and their caregivers. Our personal experience aligns with the spirit and intent of our musical. Some 5.7 million Americans are living with Alzheimer’s and 16.1 million Americans provide unpaid care for people with Alzheimer’s or other dementias. Alzheimer’s Disease is the 6th leading cause of death in the United States. Every 65 seconds, someone in the United States develops the disease. By 2050, the number of Americans living with Alzheimer’s is projected to rise to nearly 14 million. We view Memory Lane as an opportunity to entertain and inform audiences (caregivers and others) about this timely, relevant and pervasive problem that will impact future generations. With the incidence of the disease rising in line with the aging population, and impacting a greater percentage of Americans, we believe there is a broad audience for this unique musical and that Memory Lane is a musical whose time has come. How did you get into playwriting? Marilyn: I wrote and directed my first play at age 13, starring my brother and sisters and some of the neighborhood kids. The show raised money for the John F. Kennedy Presidential Library & Museum. I often wrote scripts for my school assembly programs. How did you get into musical theatre? “Sharon and I listened to a lot of musicals growing up,” says Baron. “Our mother won a Hi-Fi stereo unit filled with a lifetime worth of albums, mostly musicals, which is how we learned to appreciate music.” We just had an idea and were naïve enough to think we could write a musical. How are you feeling about seeing your musical in front of an audience on Saturday? We are so thrilled to finally hear our words and music come alive on stage. We are anxious to see the audience reaction. Memory Lane deals with a serious subject, but the music evokes a range of emotions—from heartbreaking to upbeat. Our challenge was to find the right tone for this piece, because it deals with subject matter that is so painfully personal for so many people. How to balance the humor and the sorrow? What’s next for this play? We appreciate the opportunity that Essential Theatre is providing and their confidence in our project. We are interested in bringing Memory Lane to the next level with this concert reading and ultimately moving the project forward with a full production in collaboration with an organization, like Essential Theatre, that is excited about the play and shares our vision. Are you working on any new projects at the moment? What’s next for you? Where else can we see your work, either recently, currently or in the coming year? Marilyn Baron: Marilyn spoke at the 2018 Decatur Book Festival, the largest book festival in the world, and more recently read from her new novel, The Saffron Conspiracy, at A Novel Idea, a literary evening featuring Romance, on Tuesday, February 5 of this year, at Crema Espresso Gourmet Café, 2458 Mt. Vernon Road in Dunwoody. https://www.theahaconnection.com/a-novel-idea-at-crema-romance-night/. She is currently working on a new novel, The Romanov Legacy. Another Collaboration: Marilyn and Sharon have co-authored a women’s fiction/suspense/romance novel, Groundwork for Murder, which will be released later this year by The Wild Rose Press. FEATURING THE READING AND MUSICAL TALENTS OF: Rylee Bunton as Sunny, Barry West as Chuck, Darrell Wofford as Stan, Anjil Jeter as Davonda, Pat Bell as Grace, Sarah Cave as Julia, Patrick Hill as Brett and Jean-Pierre, Robert Wayne as Monty Stone and Dr. Wilson, Marc Gowan as Mr. Mathers, Bobbie Elzey as Lillian, Betty Mitchell as Mildred, Marianne Geyer as Bessie Nat Martin as Pastor Brown, and Tanya Caldwell as Sissie. Take a trip down Memory Lane, a new musical about Alzheimer’s that takes a light-hearted, but poignant, look at this global epidemic. DaVonda Jones; a couple of caregivers who take a second chance on love; and a cast of lovable seniors who help us remember that some things, like love, are impossible to forget. Be sure to stay after for exciting conversation with the director, cast and playwrights! Click here to view an archive recording of the reading. We are so thrilled to finally hear our words and music come alive on stage. And thank you Peter and Essential Theatre for believing in us and sharing our vision. We appreciate the opportunity you provided and your confidence in our project…It took us seven years to get to this point and we are not going to give up. We will never forget you and this experience. We are so proud to be associated with such a talented and warm group of people. You made us truly feel like family. Each of you made a unique contribution that was vital to the show. It was such a pleasure meeting new folks and catching up with old friends. I was moved deeply by all of the talent I was surrounded by. The voices!!! The acting! The direction. Whatever gifts we all had….it all came together that night. Thank you for allowing me to be a part of such an amazing production! It was a blessing to work such talented individuals. I am glad I got a chance to meet you all! I am so glad I was able to be a part of this production! And now, talk about timing… check out this article that I just saw and read from The New Yorker this morning. William Marion Hardy, father of Essential’s founding Artistic Director Peter Hardy, passed away peacefully on January 2, 2019, at the age of 96, at the Dubose Medical Center in Chapel Hill, North Carolina. To read his full obituary, written by Peter, click here. In lieu of flowers, the family suggests that donations be made to Essential’s newly renamed Bill and Martha Nell Hardy Memorial Fund. 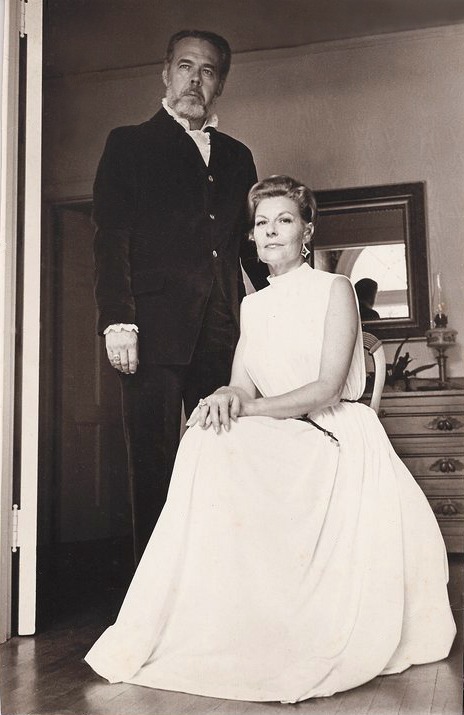 Founded in February of 2017 as the Martha Nell Hardy Memorial Fund and renamed following Martha Nell’s husband Bill’s passing on January 2, 2019. All three of the Best Performers named in the list – Anthony Goolsby, Ashley Anderson, and Lee Osorio – have Essential ties as well! 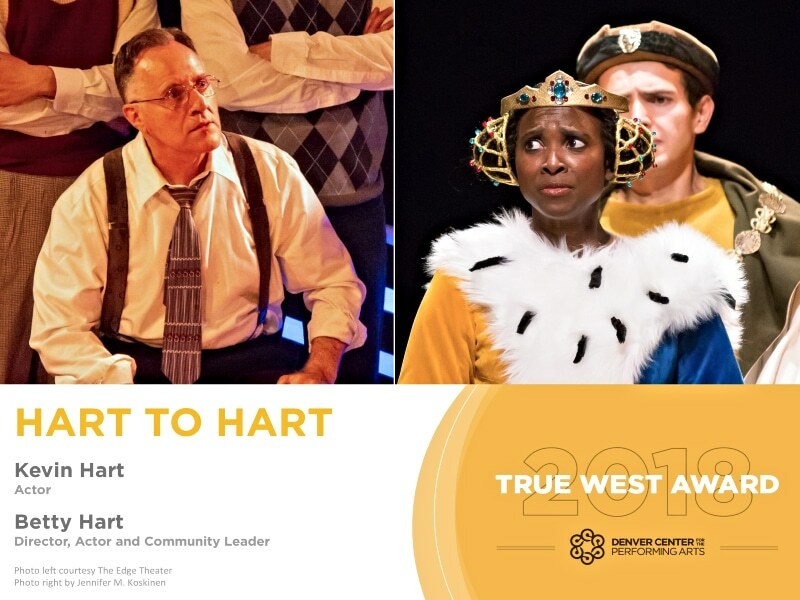 Big Congratulations to Betty Hart, who just won the True West Award in Denver, Colorado! Before moving to Denver, Betty played a big part in some of Essential’s growth years, directing productions of JIM CROW AND THE RHYTHM DARLINGS, THE DARKER FACE OF THE EARTH, A THOUSAND CIRCLETS and EVELYN IN PURGATORY. Returning at Theatrical Outfit November 21 – December 23, 2018, this holiday hit by Decatur native and Essential veteran playwright Lauren Gunderson features Amelia Fischer (Dispossessed, 2016 Essential Theatre Play Festival) in the title role. The production team is peppered with other familiar Essential names, including Lee Osorio and Galen Crawley in the cast, Alex Riviere (lighting design) and Barbara Gantt O’Haley (production stage manager).